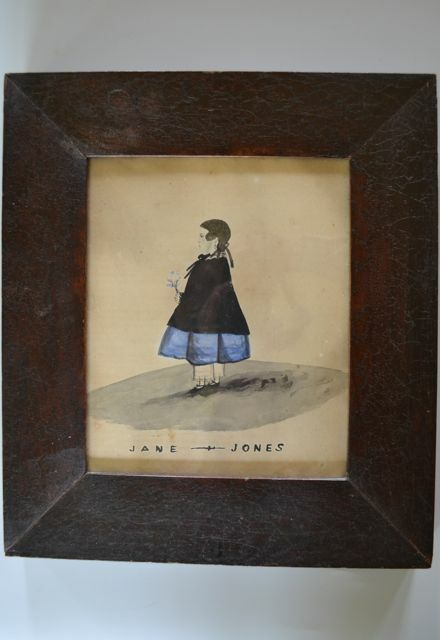 Portrait of a delightful little girl called Jane Jones. 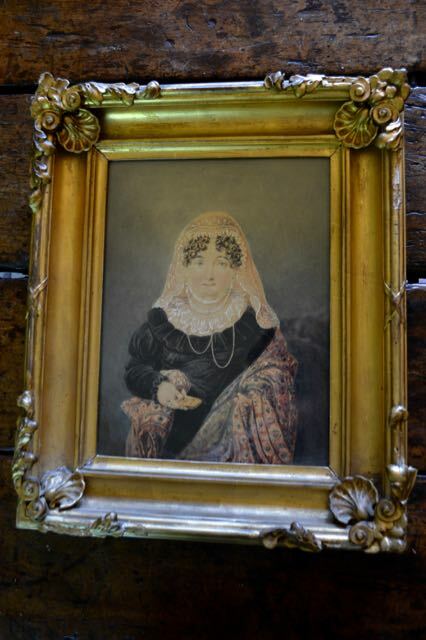 Naively painted, she is carrying a flower and a rather earnest expression. 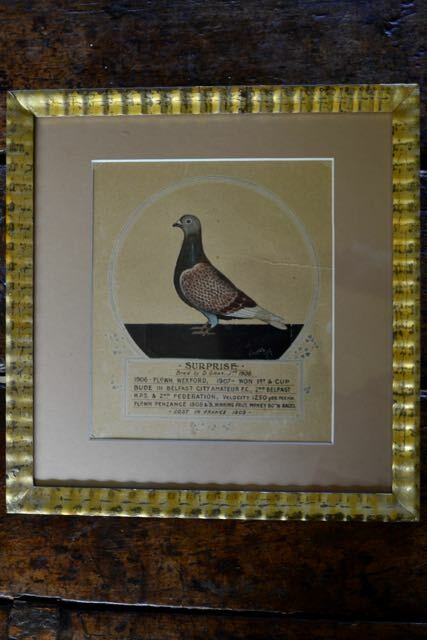 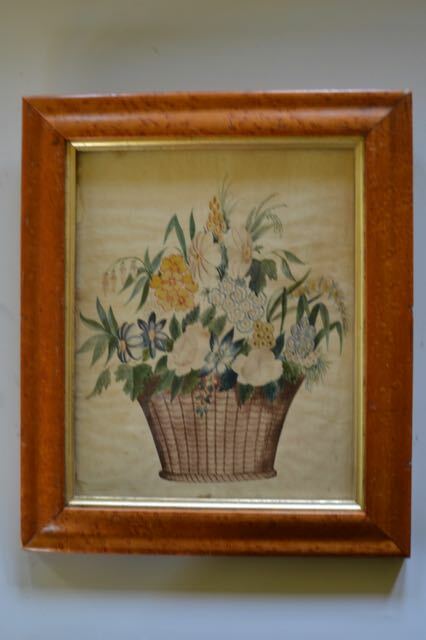 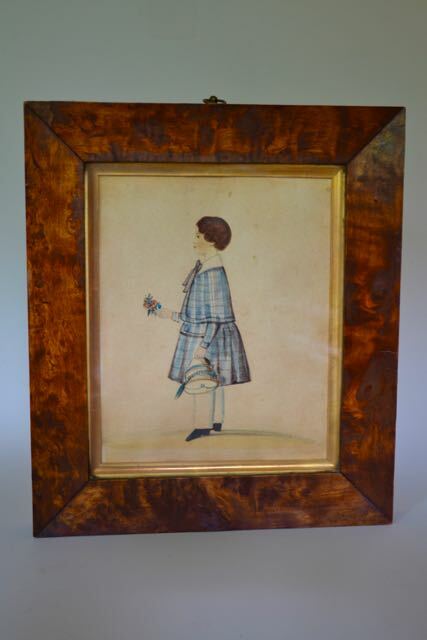 Set in its lovely original frame of crawled paint.